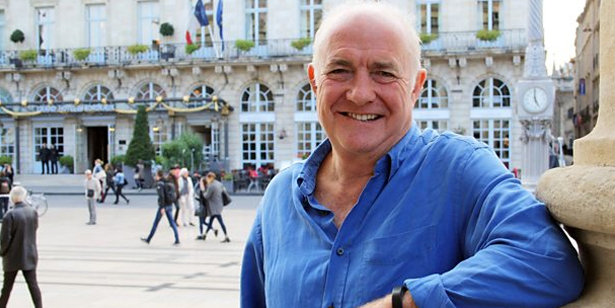 Rick Stein’s Long Weekends will be published by BBC Books to accompany the second 5 parts of the 10 part BBC Two TV series this autumn. In Rick Stein’s latest culinary adventure he embarks on a series of weekends in search of good food, lovely wine and brilliant recipes. We have already seen his adventures in Bordeaux, Berlin, Reykjavik, Vienna and Bologna and this autumn he will be discovering Copenhagen, Cadiz, Lisbon, Thessaloniki and Palermo. Rick will explore markets, restaurants, wineries, cafes and bars with, of course, accompanying literary references, all of which will be brought to life in the tie-in book in stunning location photography. All these fabulous locations are all just a quick hop, skip and a jump from just about anywhere in the UK. In his new book, Rick Stein’s Long Weekends, Rick inspires in two ways, as a travel guide, to go out and discover these wonderful places yourself but equally – why not make time to have a long weekend at home to cook for family and friends? The recipes are divided by day of the weekend – quick and easy for a Friday night supper- Mussels with Bayonne ham to Danish Fish Frikadeller with remoulade; substantial Saturday brunches and lunches – Huevos a la Flamenca to Constantinople artichoke stew; some substantial Saturday evening entertaining including- Halibut Soup with cream, apple and dill to Cote de Boeuf and Meringue with zabaglione semi fredo, followed by Sunday lunch and dinners- Squid Souvlaki and Navarin of lamb. And no weekend would be complete without some coffee and teatime treats – Pateis de nata to Berliner Doughnuts. Rick’s passion for using good-quality local produce and his talent for creating delicious flavour combinations in his books and restaurant have won him a host of awards, accolades and fans. His best-selling cookery books include Rick Stein’s Seafood, French Odyssey, Coast to Coast, Far Eastern Odyssey, Spain, Rick Stein’s India, Fish and Shellfish and From Venice to Istanbul. His memoir Under a Mackerel Sky was shortlisted for a British Book Award in 2013. Rick Stein’s Long Weekends will be shown on BBC 2 this autumn, and you can pre-order the book now.